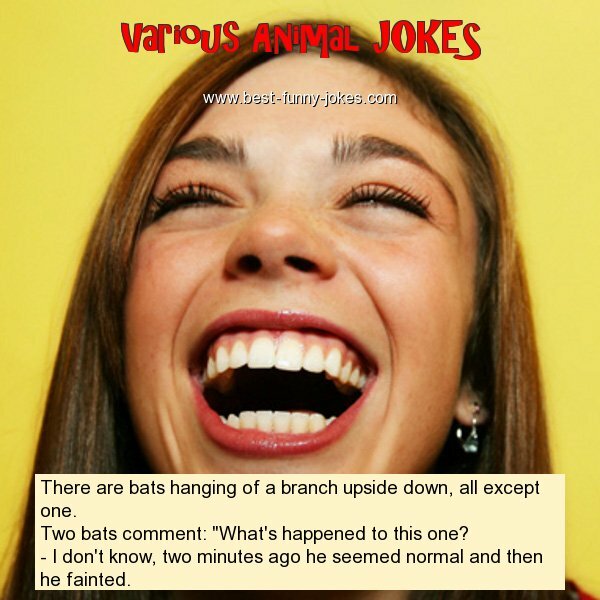 There are bats hanging of a branch upside down, all except one. Two bats comment: "What's happened to this one? - I don't know, two minutes ago he seemed normal and then he fainted.